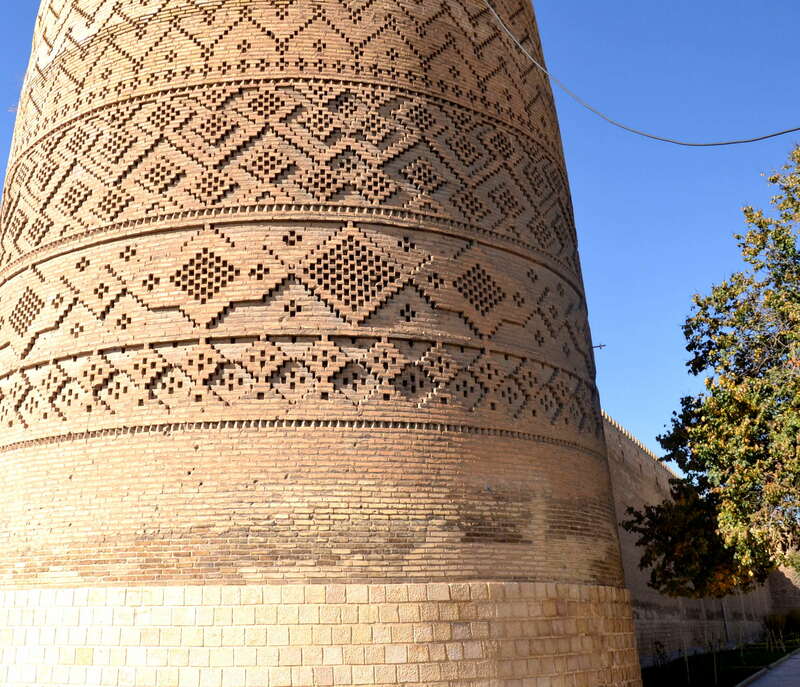 It was a week full of wonderful discovery and enjoyment as our senses absorbed the sights, smells, sounds and tastes of beautiful Iran. The hospitality was outstanding from the minute we arrived as we met new friends everywhere we went. 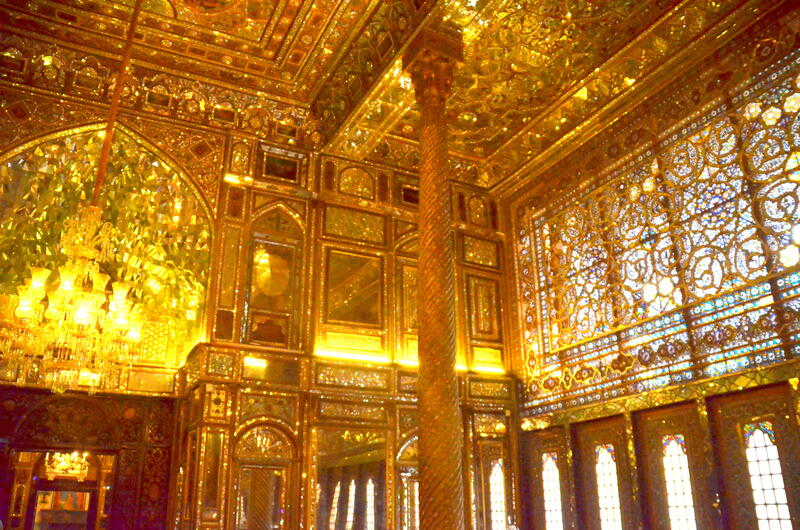 Some buildings inside were so gold and glowing that they dazzled the eyes. 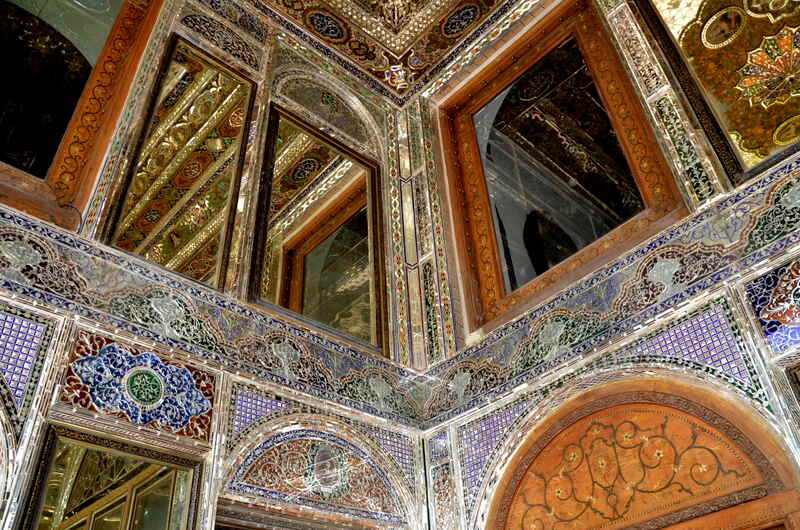 Some were mirrored tiles and colored tiles creating this unique interior. 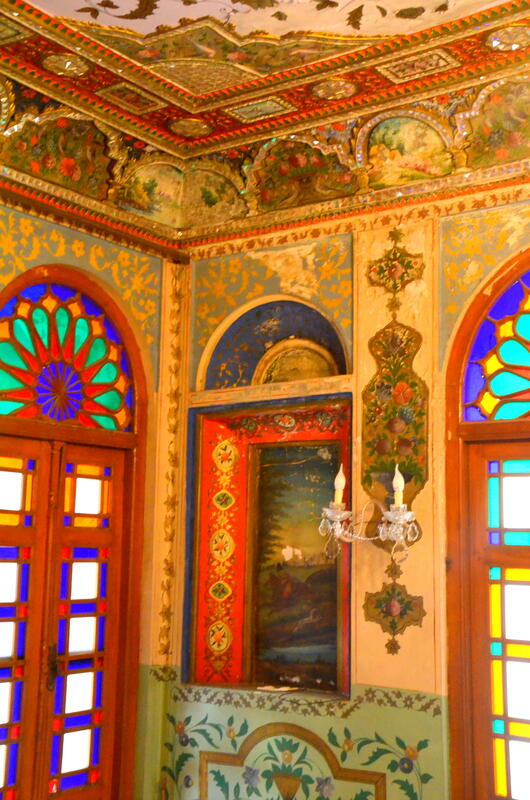 Some were very colorful and full of artistic features and designs on every inch. 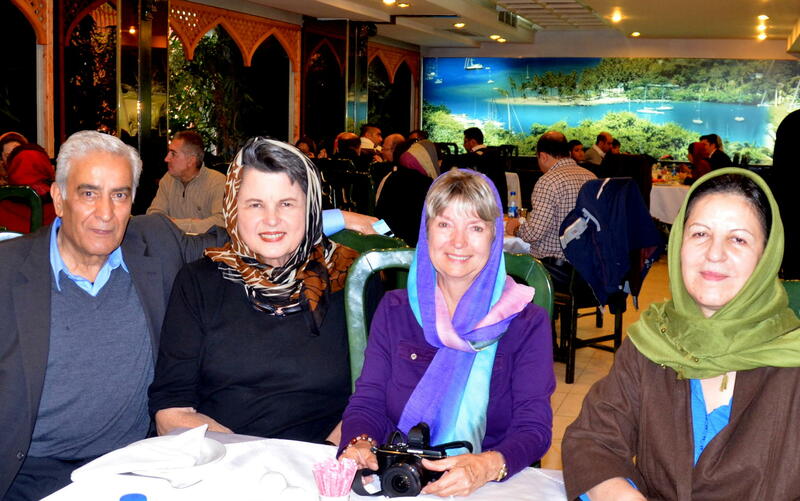 Having lunch with our new friends in Tehran was a delight we shall never forget. 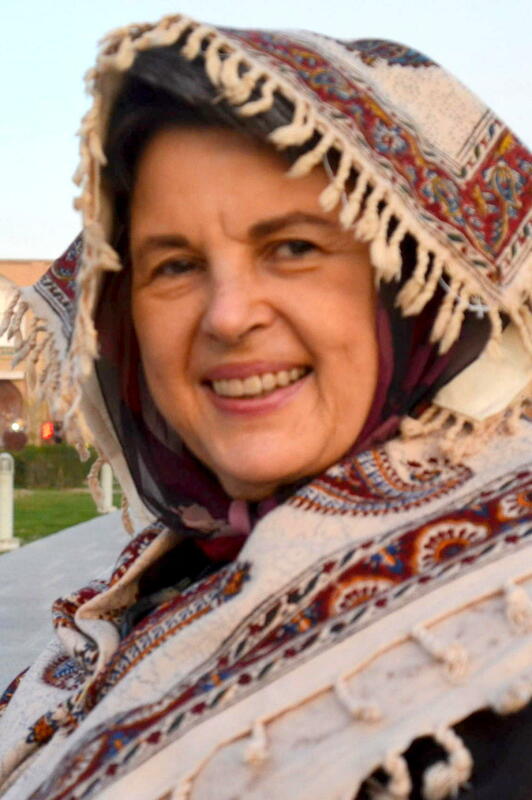 June met their daughter on a plane to Amsterdam 4 months before our Iran trip and she insisted we meet her parents when we were in Tehran. 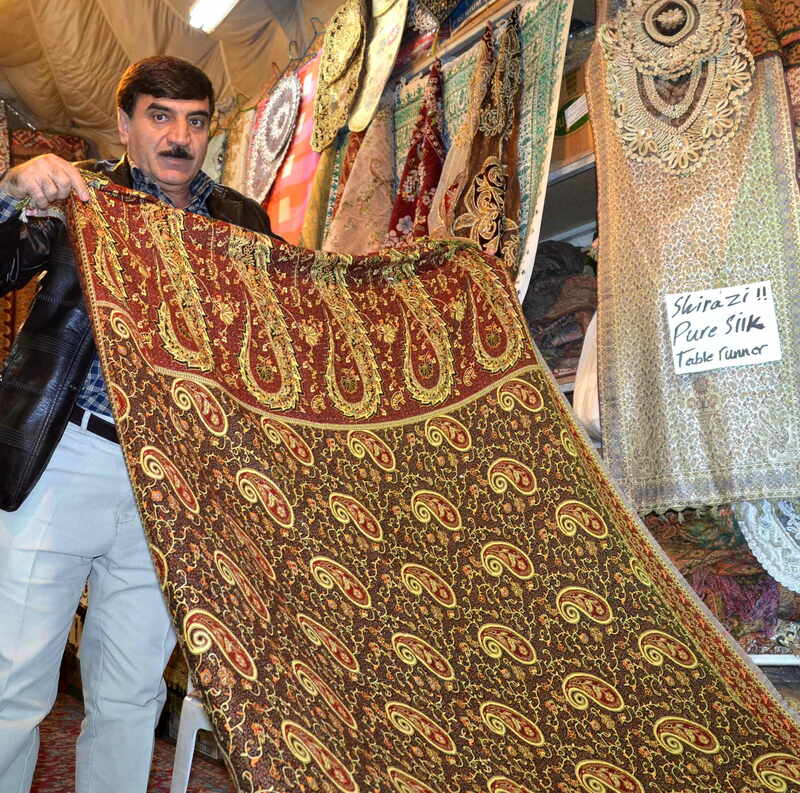 They were such a lovely couple and a joy to be with for an afternoon of touring the Carpet Museum. We each exchanged gifts from our country. 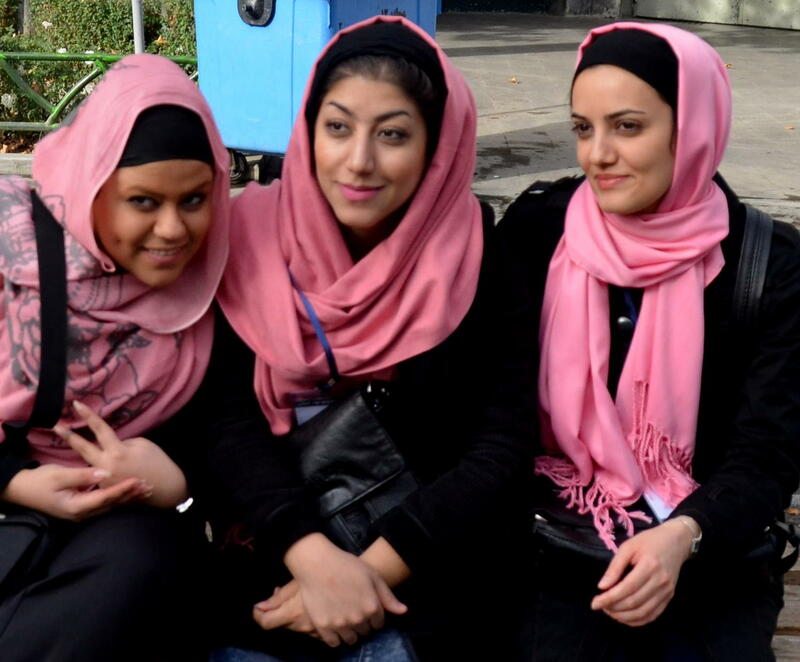 These 3 beautiful ladies were just sitting on a bench in a park in Tehran when we visited with them. After taking photos of each other, we said goodbye and wished them much happiness. 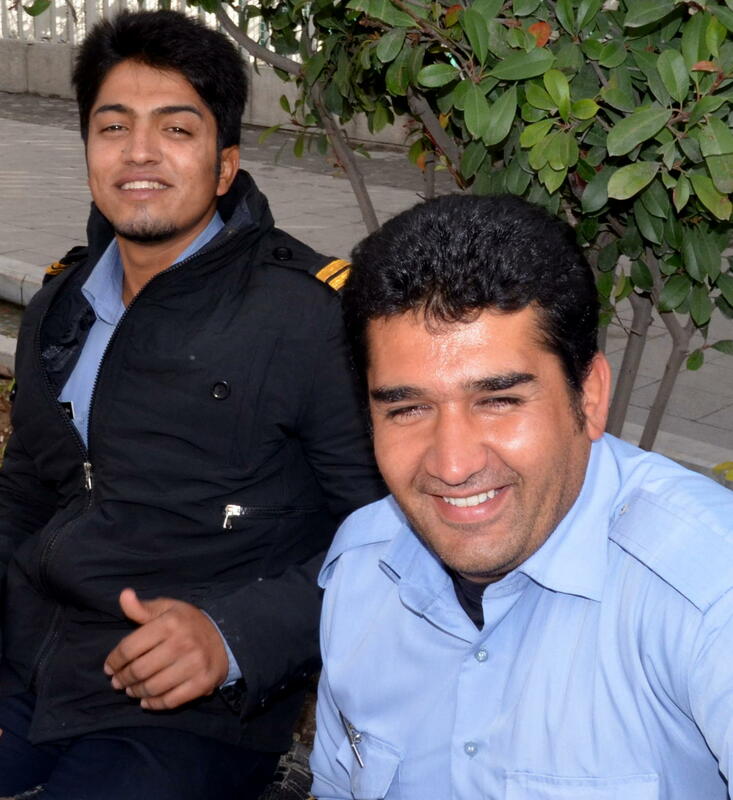 The men we met in Tehran and all over Iran were so handsome and friendly. More beautiful ladies with our guide, seated. 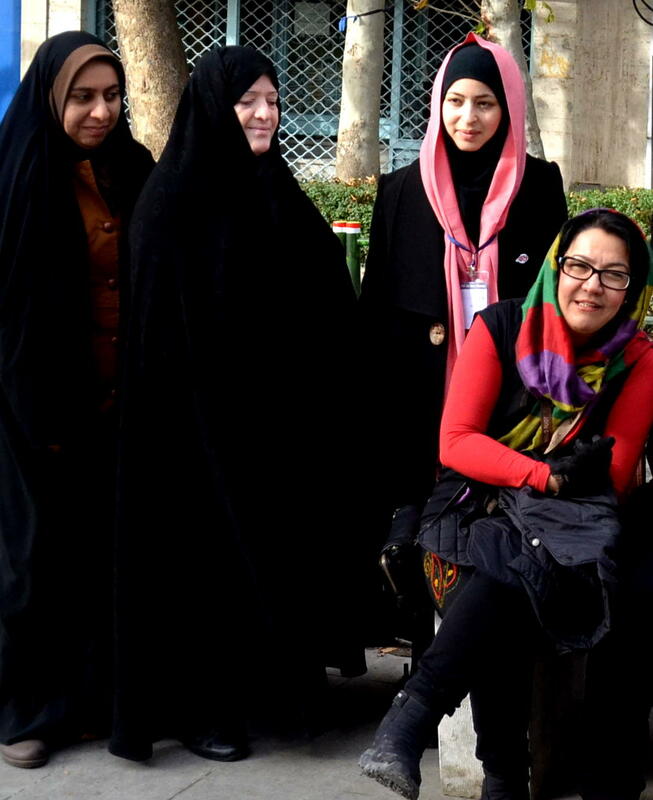 Of course, we visited and exchanged photos in Tehran. 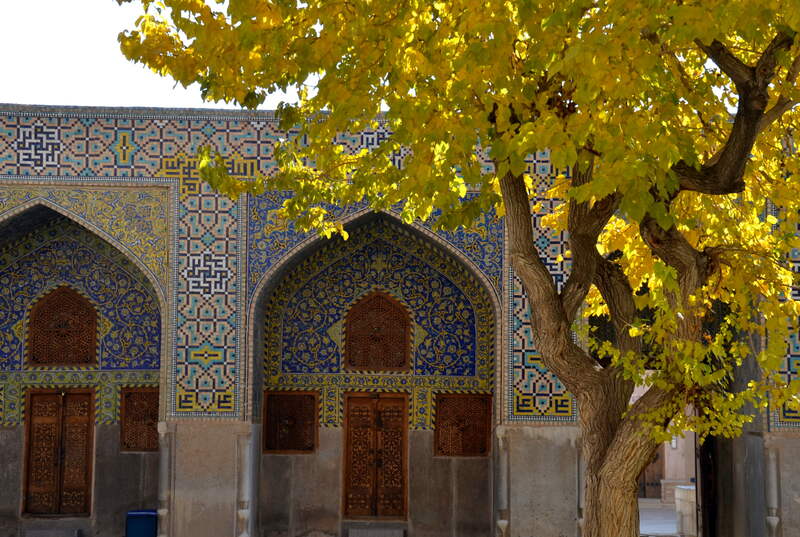 This Sheikh Lotfollah Mosque in Imam Square in Esfahan was so glorious. 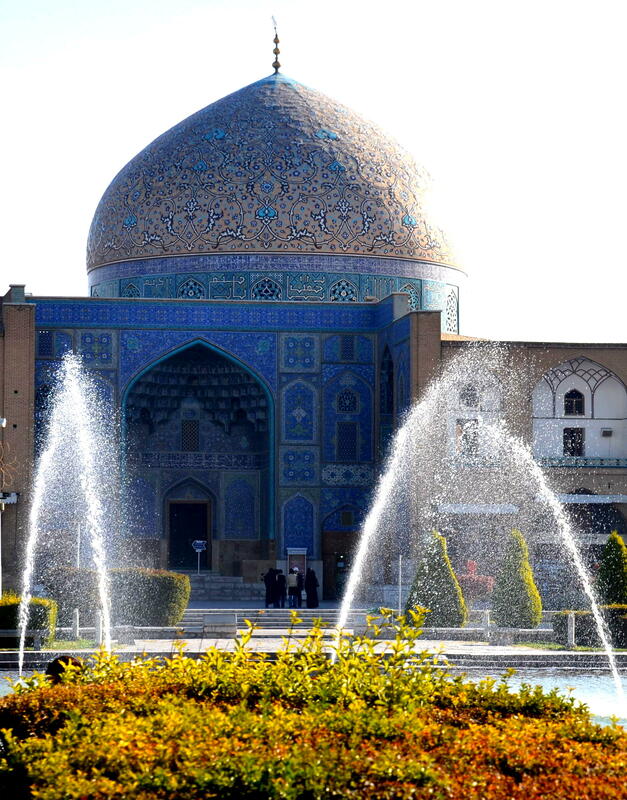 The dome changed colors from cream to pink to turquoise, depending on the sun, clouds and light conditions. It was magnificent. 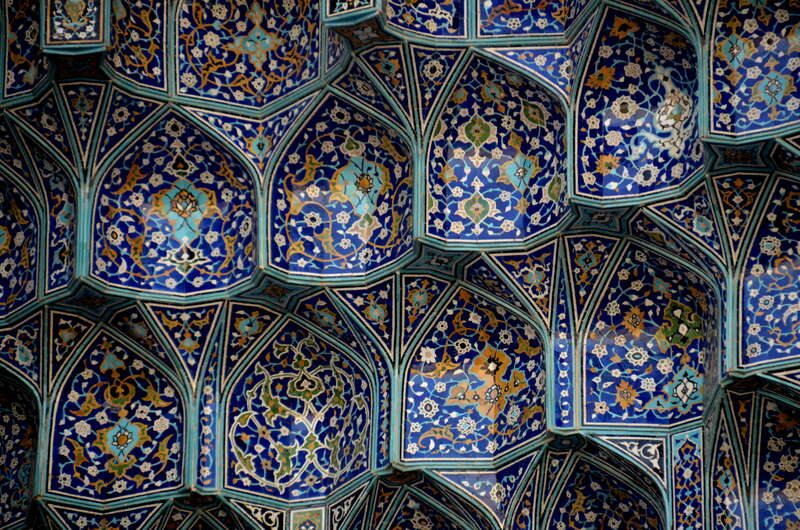 This is what those tiles looked like close. They were gorgeous. 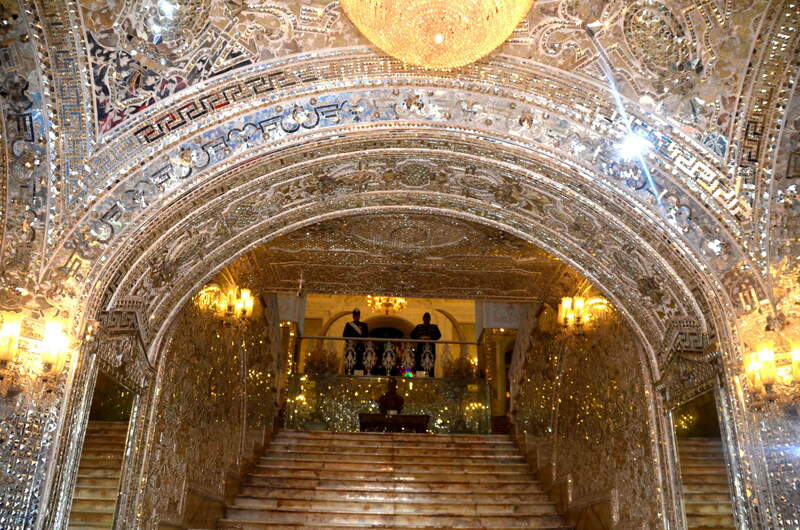 Iran is great to visit anytime of the year and we visited in November. 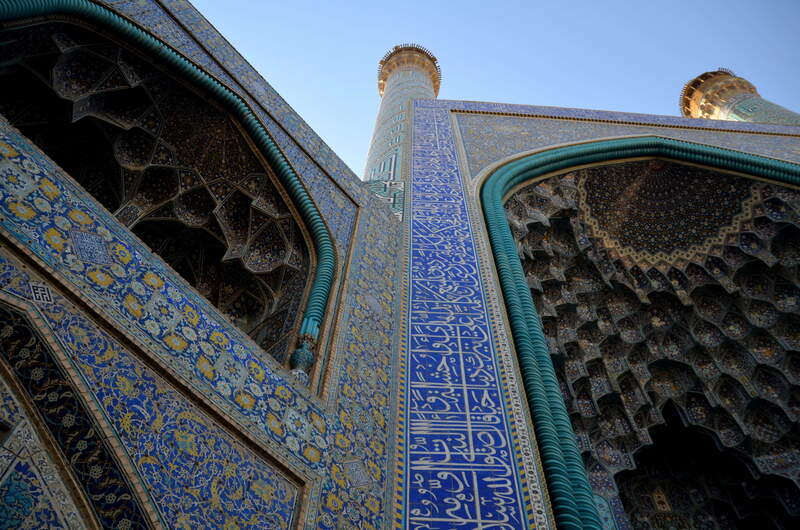 The Shah Mosque in the Imam Square in Esfahan reigned glorious over all. 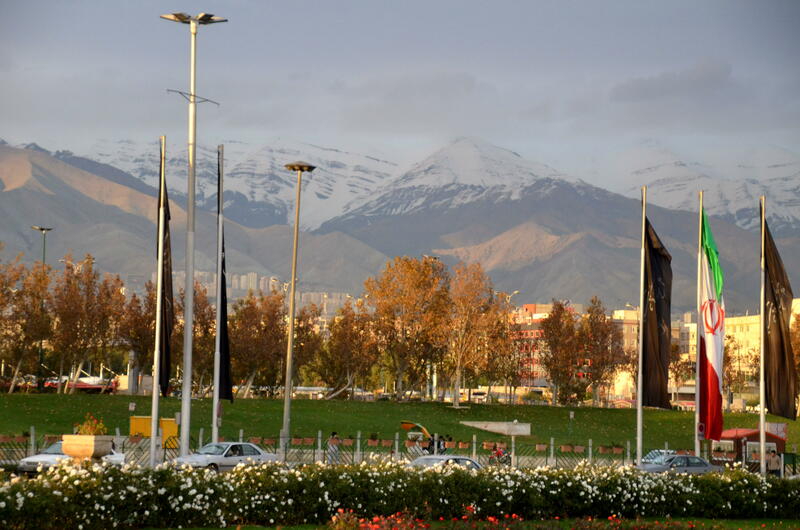 The Freedom Tower in Tehran marks the west entrance to the city. 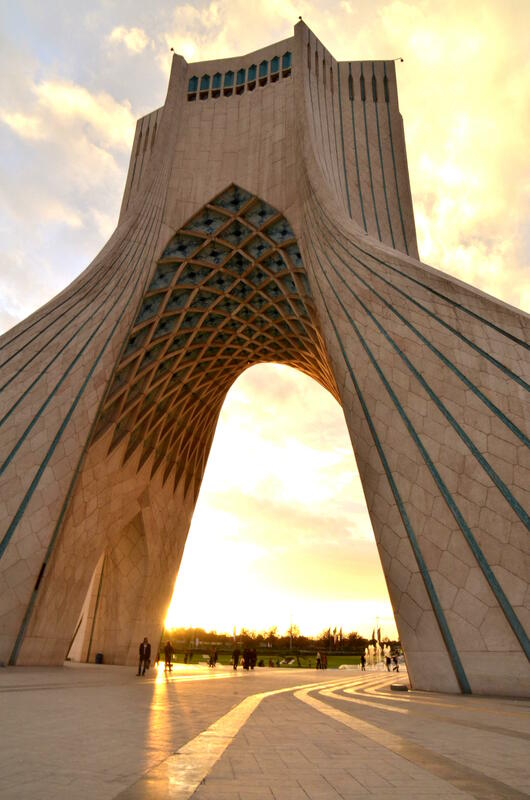 Constructed in 1971, the architect, Hossein Amanat, won a competition to design the monument, which combines elements of the architecture of Sassanid and Achaemenid eras, and Post-Islamic Iranian architecture. A museum in under it. 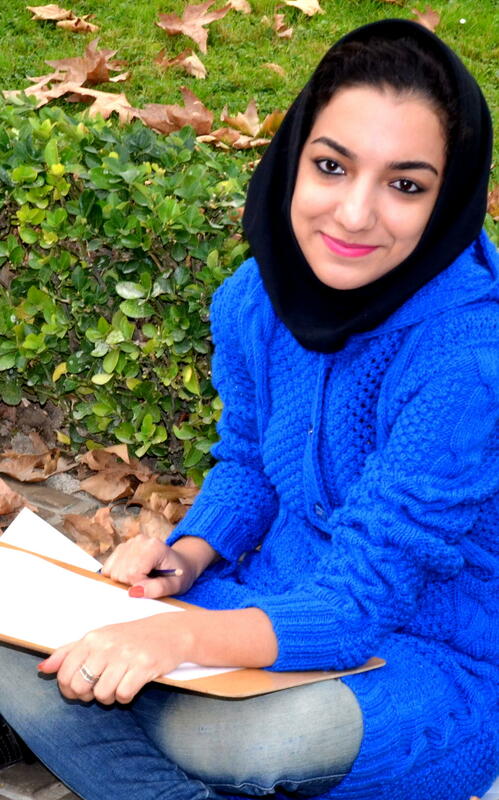 This pretty young lady was sketching the Golestan Palace in Tehran when we met her. 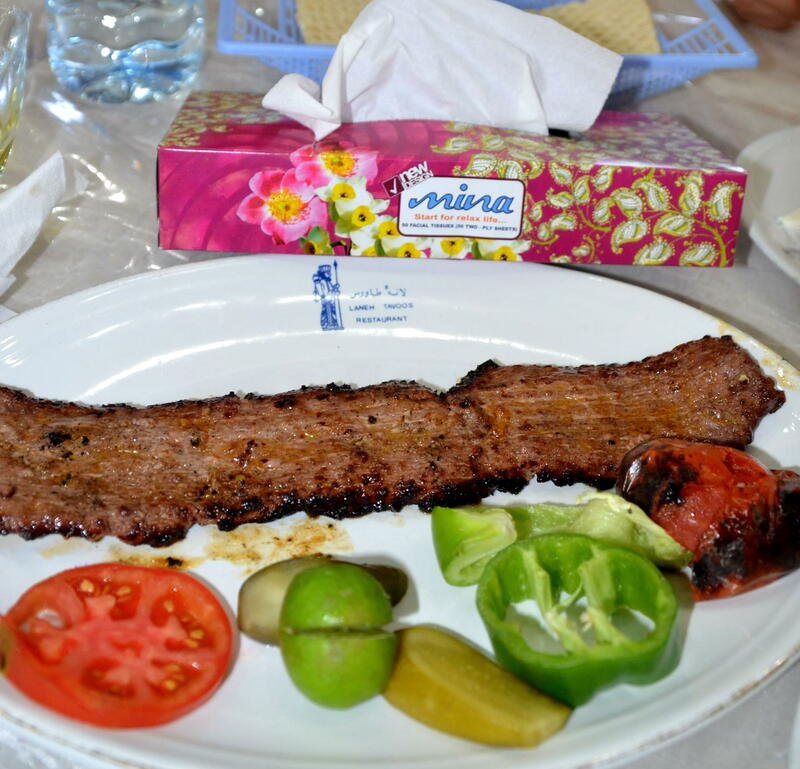 The food we ate was delicious everywhere we went. And a box of facial tissue was provided on each table to use as we wished. 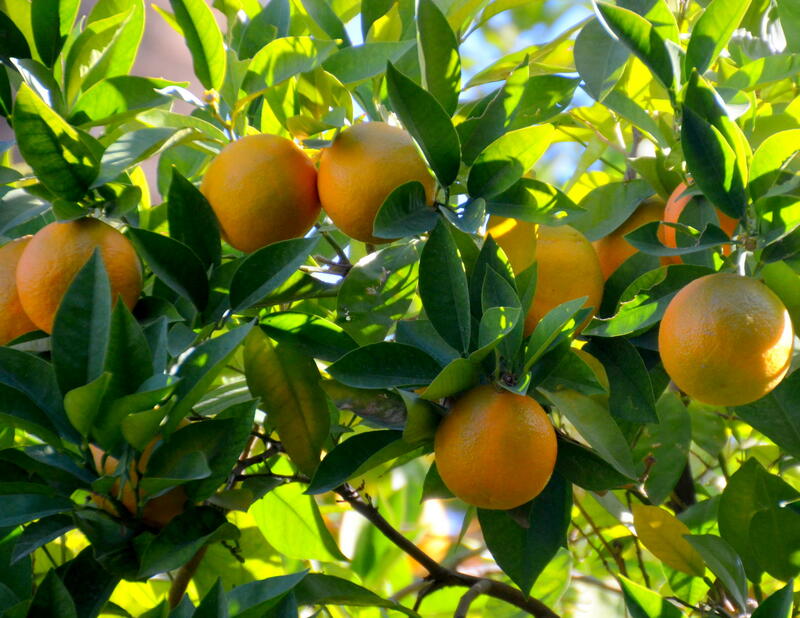 We saw oranges everywhere on trees and in shops. Don’t they look delicious! 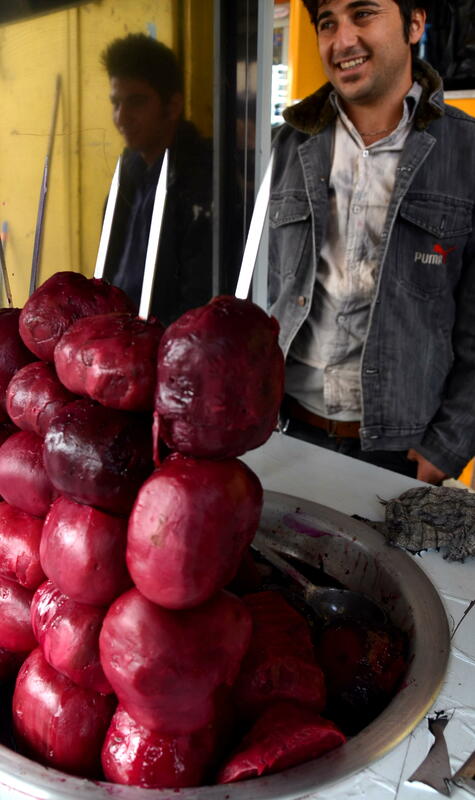 As a snack, the Iranians eat Beetroot or Beets and they were being sold on the street by this handsome vendor. 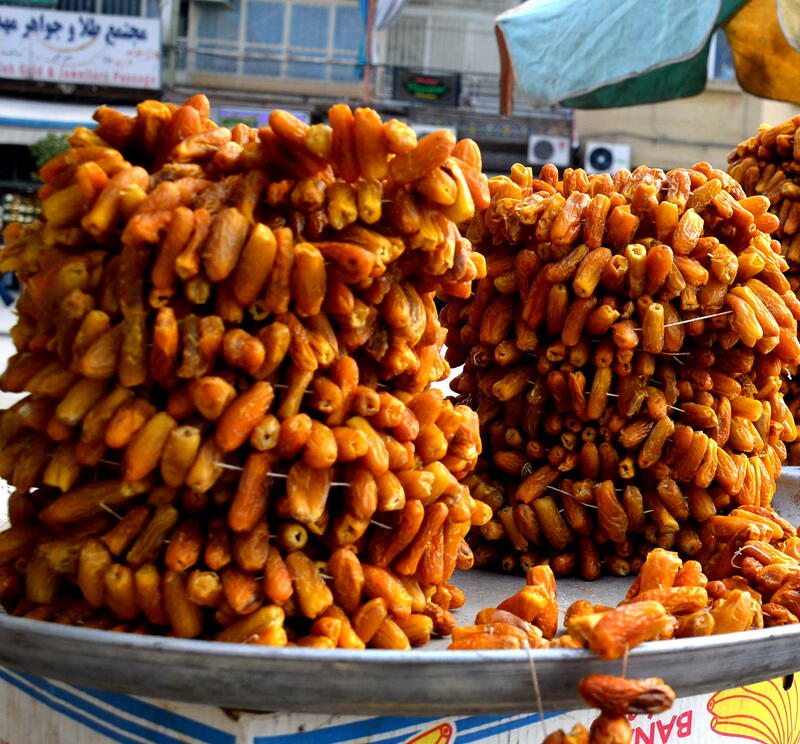 Dates were also being sold on the street as a snack and were strung in a circle, resembling a wreath. This, we were told, helps dry out the dates and makes them easier to handle. 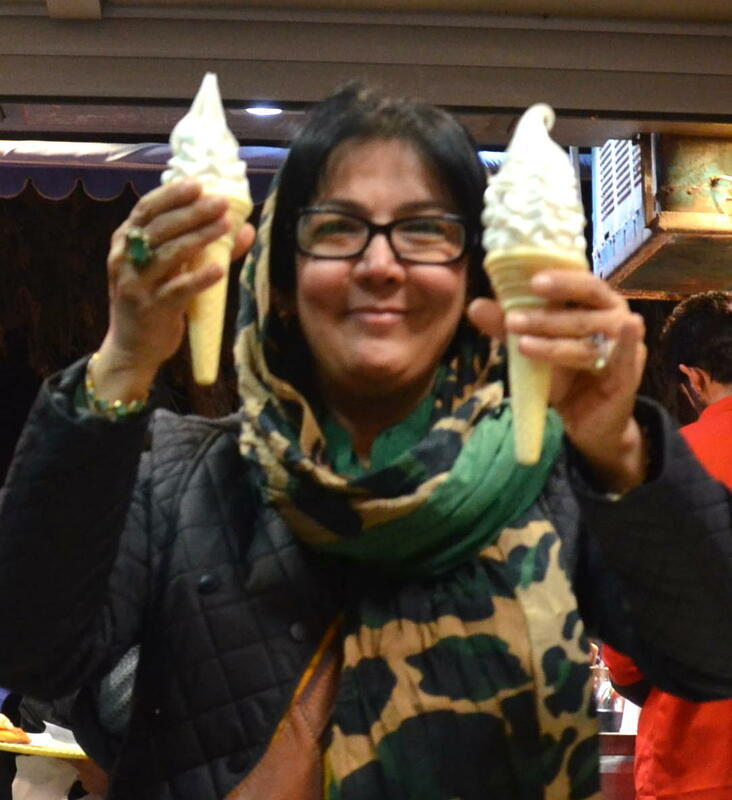 And yes, Iranian ice cream is delicious. 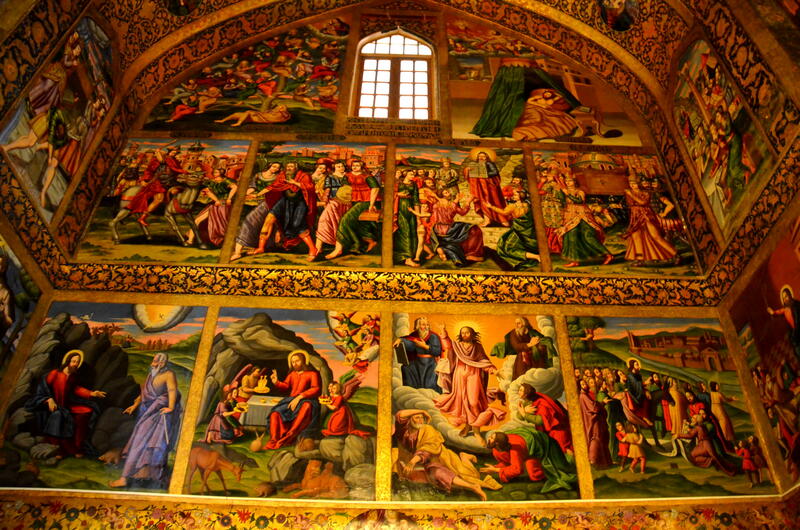 Our guide treated us to these in Tehran. 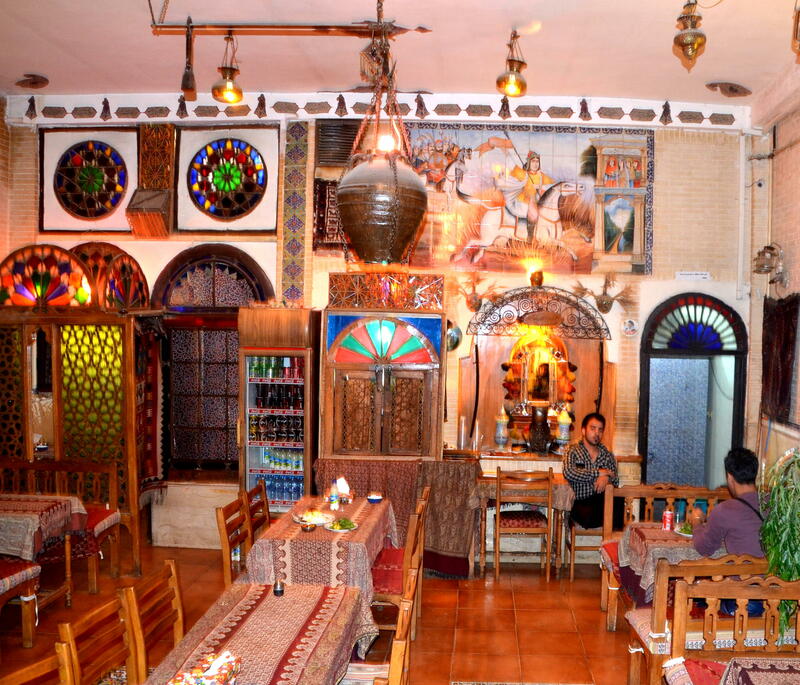 And the restaurants we went to were each different and so was the food. 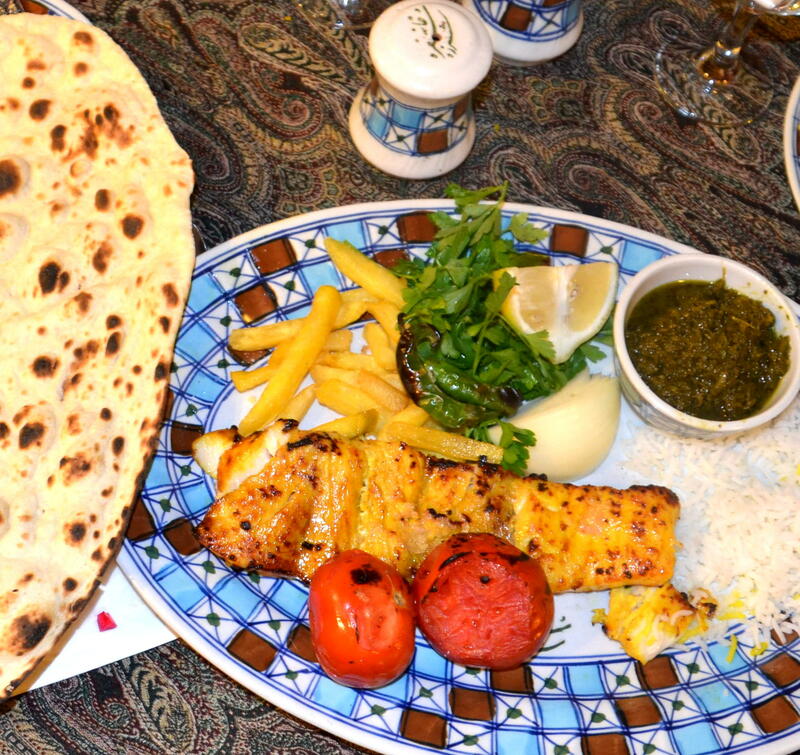 We enjoyed the different tastes of Iran. This is the way one vendor in the market displayed the different spices he had for sale. 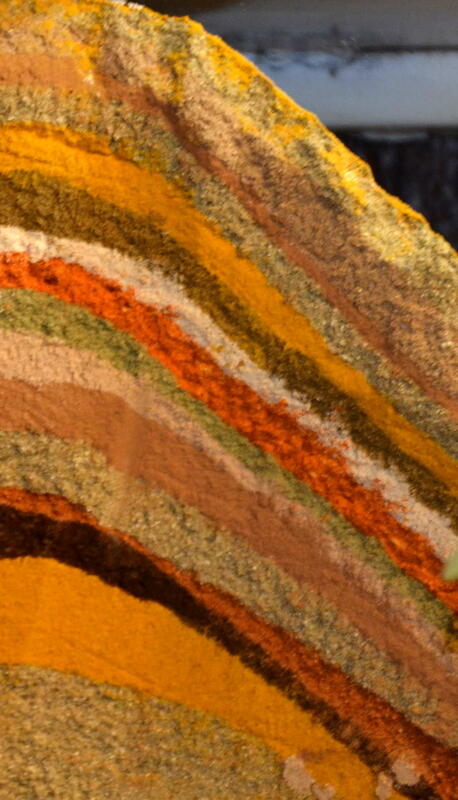 The layered look was a very different way to display spices. 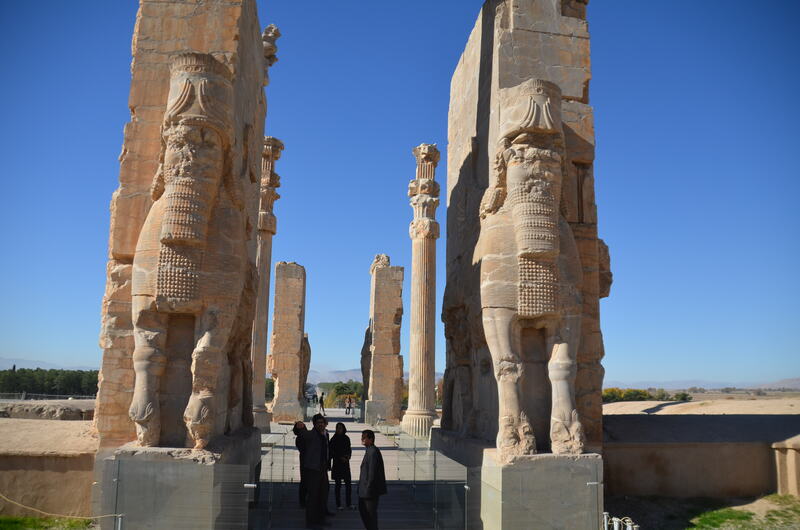 Persepolis, an UNESCO World Heritage Site, was the capital of the Achaemenid Empire ca. 550-330 BC, ruling over 44% of the people of the world. 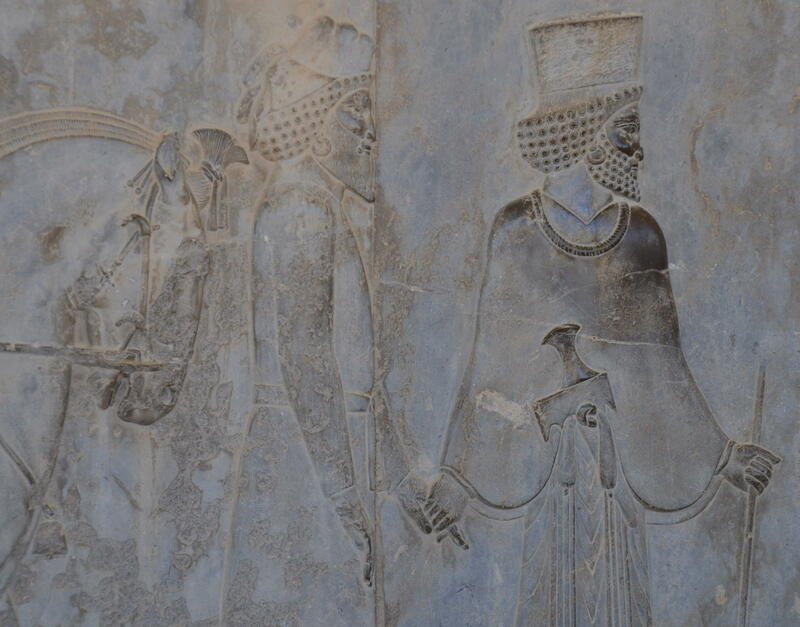 Persepolis was the example par excellence of the dynastic city, which is why it was burned by Alexander the Great. 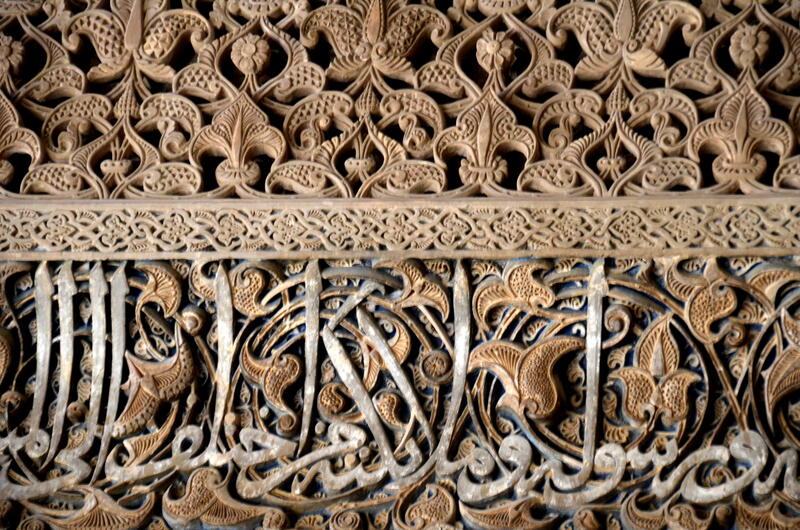 They carried away its 20,000 treasures on 5,000 camels, according to UNESCO. 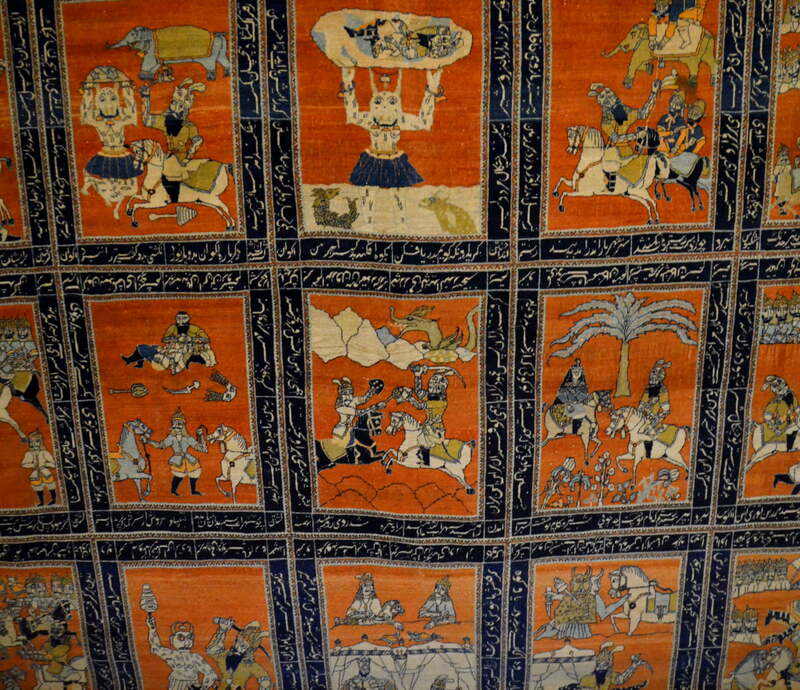 We saw unique Iranian carpets in the market and the museums. 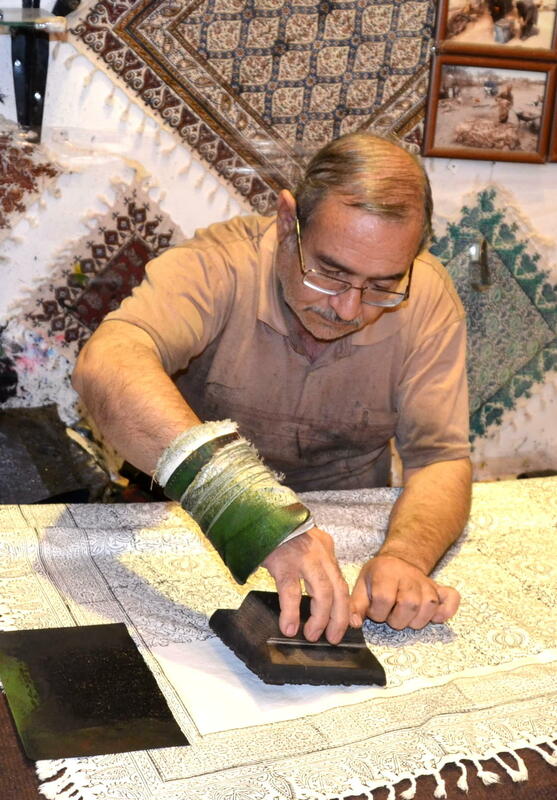 This man was stamping cotton card table size cloth with traditional Iranian designs in the market store in Esfahan..
And those hand stamped tablecloths were very warm when it got cold after shopping until dark in Esfahan. 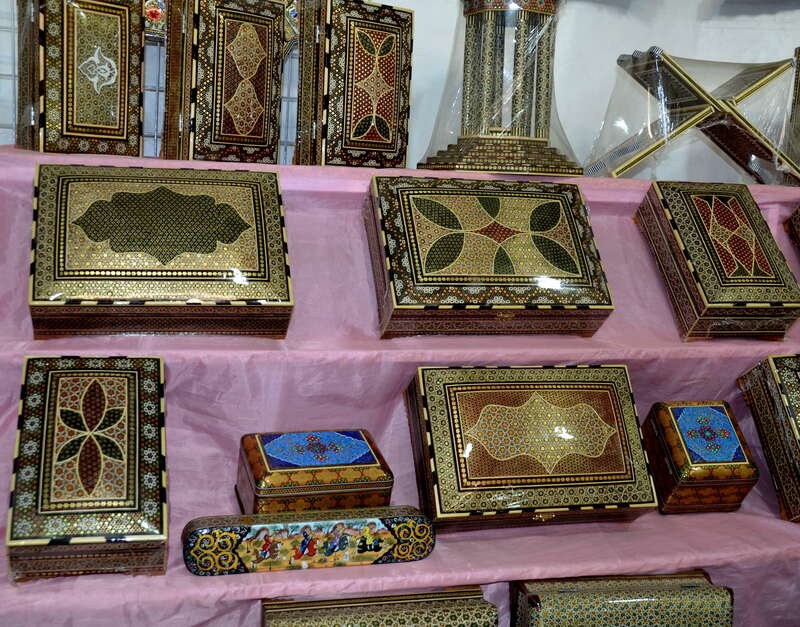 The Iranian boxes also are decorated with those intricate Iranian designs. 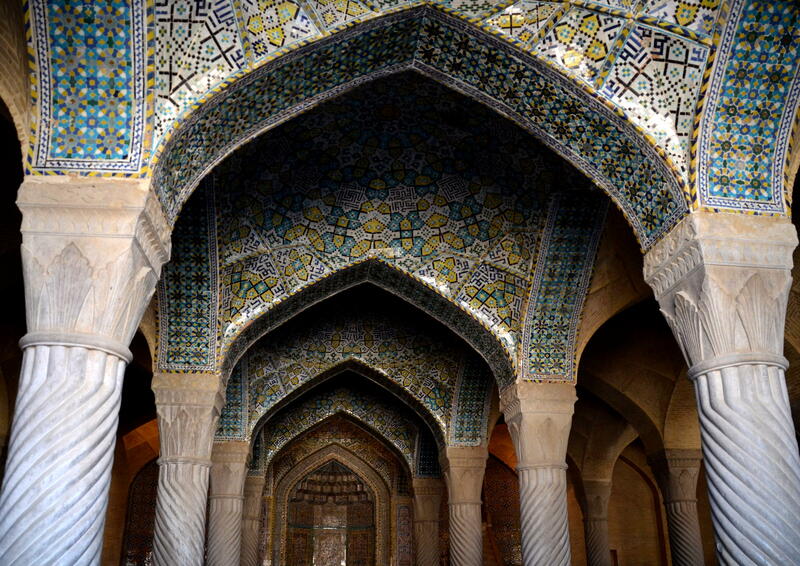 Iran is a treasure of people, buildings, food and antiquities. It was a delight to visit. 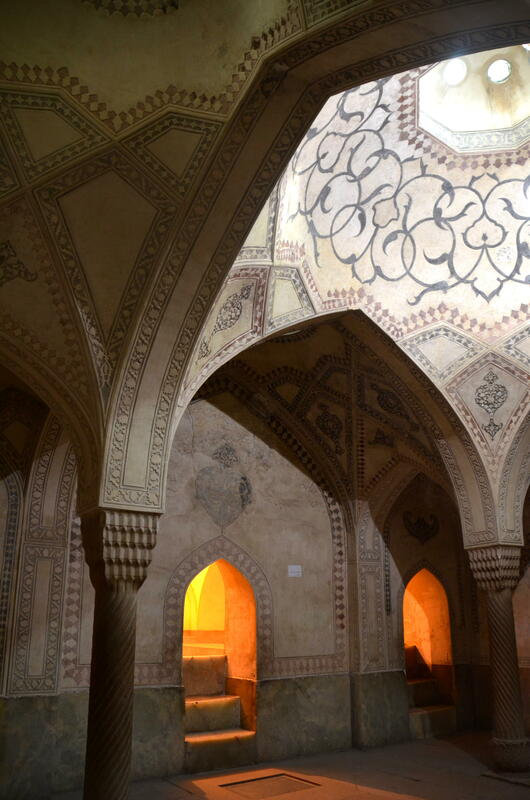 Even the ancient baths were decorative and featured great architectural designs. 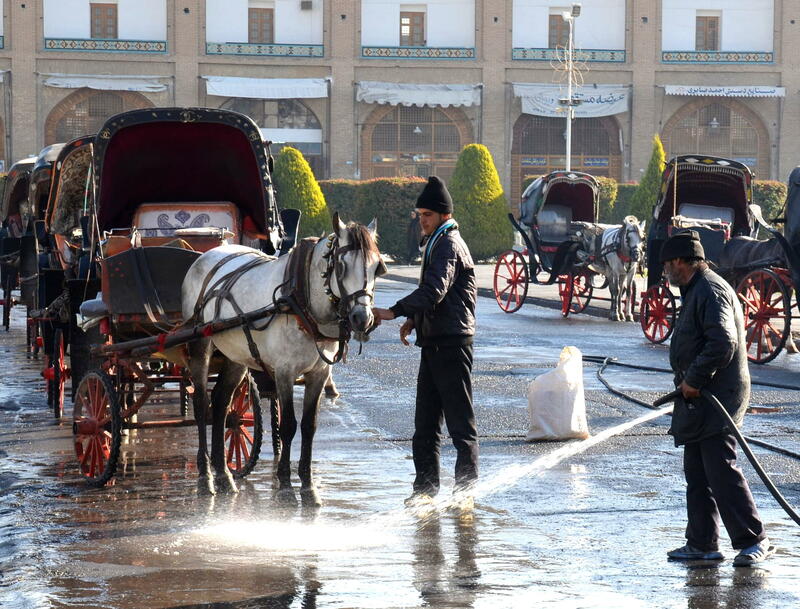 This man is cleaning up the Imam Square street in Esfahan and getting ready for another day of rides in the horses and carriages. 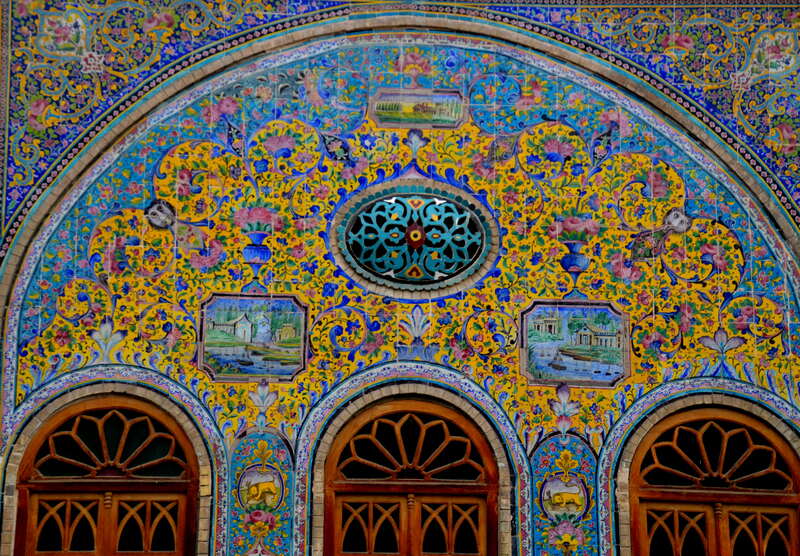 The Square has a Great Bazaar at one end where shops are selling many kinds of souvenirs, many with the iconic Iranian artistic patterns on them. 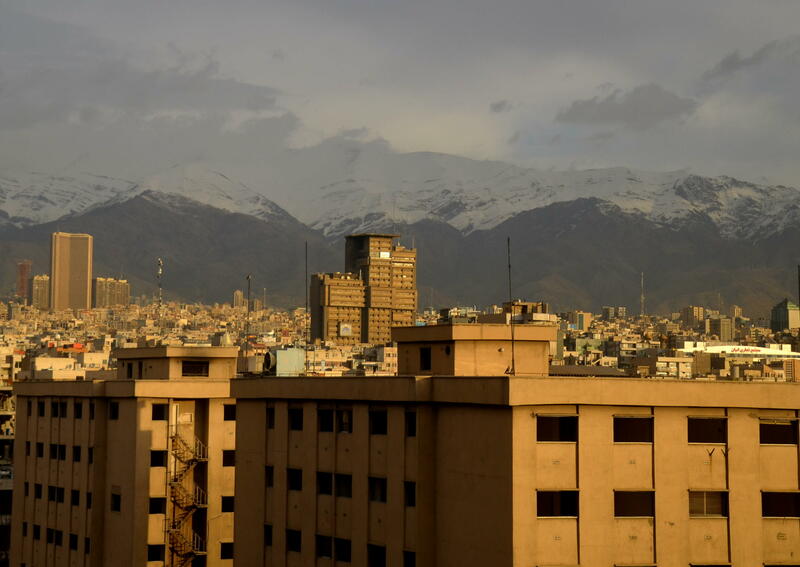 These photos are so beautiful 🙂 Thanks for Sharing ❤ made me missing Iran more..